Fauve, 29, has been a physician assistant for almost 6 years. Growing up in southeastern Pennsylvania, she never considered herself to be outdoorsy or athletic and the only vacation she had ever known was to the beach in Massachusetts or Delaware. She attended undergrad at Syracuse University and majored in Biology and then went directly to grad school and completed her masters degree in medicine at Yale School of Medicine. She lived in Boston after graduating PA school and worked in the emergency room at Massachusetts General Hospital before transitioning into her current field of practice, orthopedic surgery, less than 1 year later. She specialized in surgical sports medicine, which was a wonderful experience and an incredible learning opportunity. 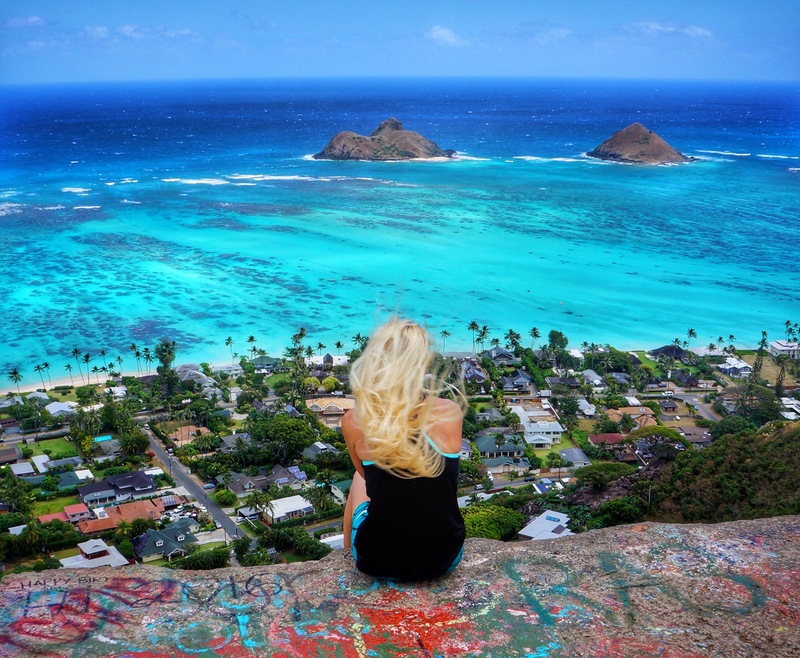 On social media she is known for her vibrant photos documenting her adventures through the Hawaiian islands, where she currently resides and works. 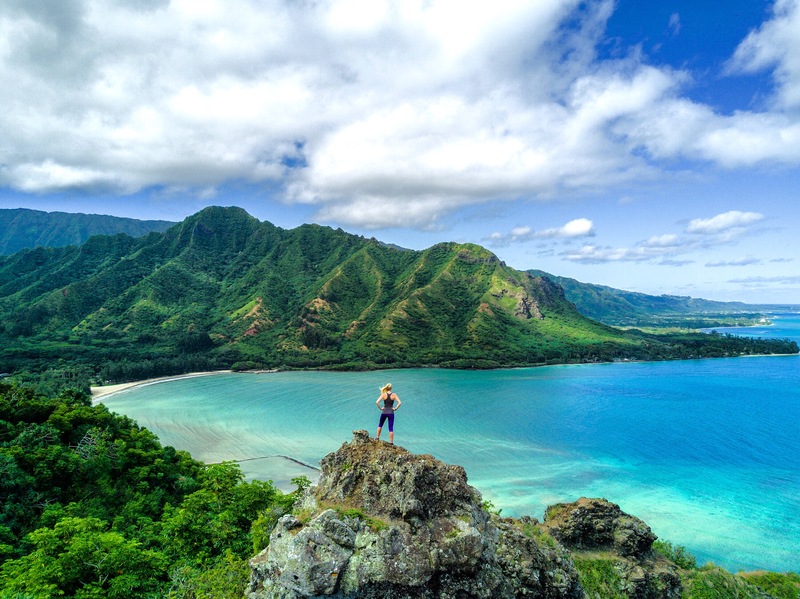 We just love your adventures in Hawaii! How long have you called Hawaii home? Where are your favorite adventure/hiking spots? I moved to Hawaii in 2015 after visiting for a short vacation and it was then that I hiked for the first time. To say I was hooked is still an understatement. 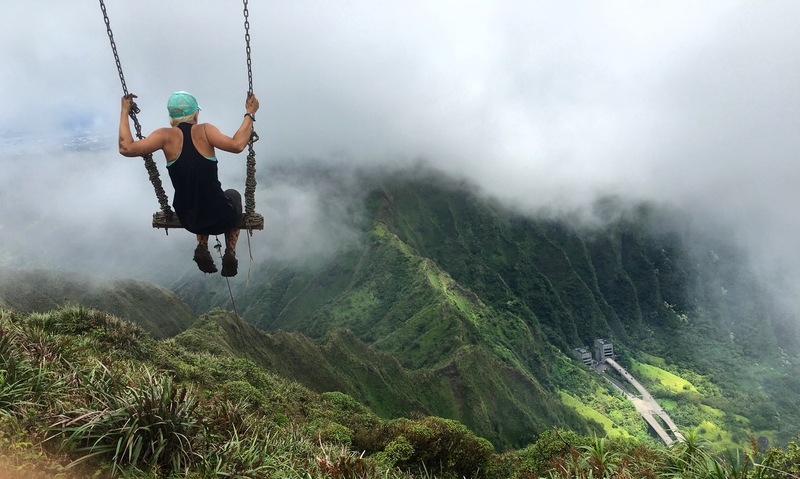 My favorite trails to hike are all along the Ko’olau mountain range, which runs along the eastern side of O’ahu. The changing terrain, the flora, and the views of the windward side of the island will never get old for me. Hiking in Kaua’i, Maui, and the Big Island is also absolutely spectacular. I enjoy paddle boarding all over the island, but I don’t swim well, so my adventure of choice is usually with two feet firmly planted on the ground! 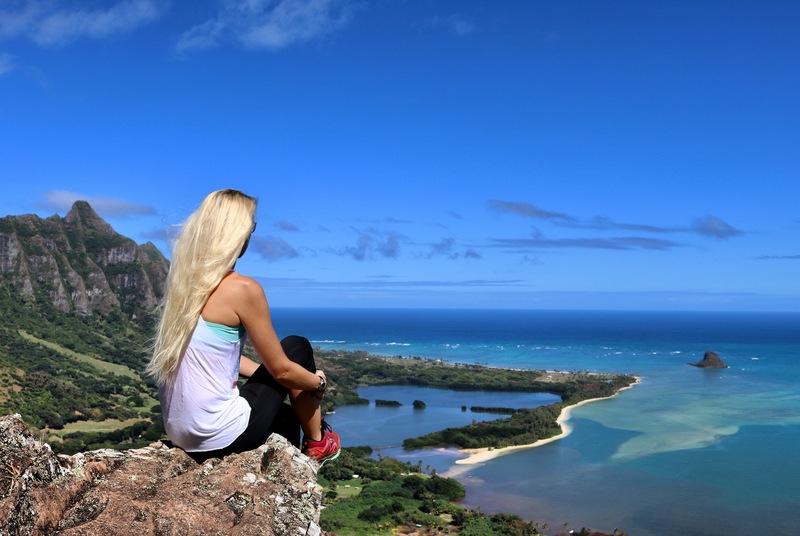 What are some of your favorite adventure activities in Hawaii besides hiking? 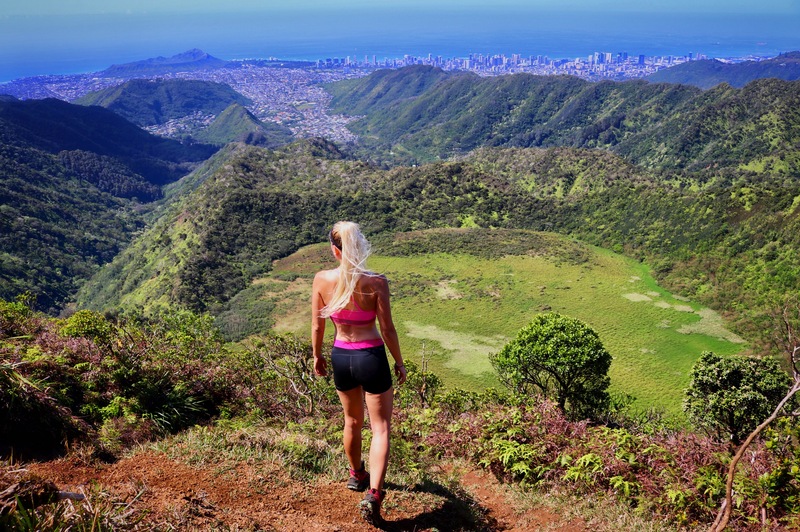 In Hawaii, you have any number of outdoor activities at your doorstep. We surf, snorkel, hike, paddle board, kayak, and free dive. The weather is always changing here, so there’s always an adventure back up plan. Having the ocean available every day means you can also sail, fish, and open water ocean dive/SCUBA as well. What are some of your favorite stories from your adventures? I don’t have just one story to tell from my adventures, but the people you meet while hiking or surfing or paddle boarding have created memories I will keep forever. We have laughed, cried, gotten lost, and had the most amazing fun with one another. We challenge one another and overcome obstacles once thought impossible. 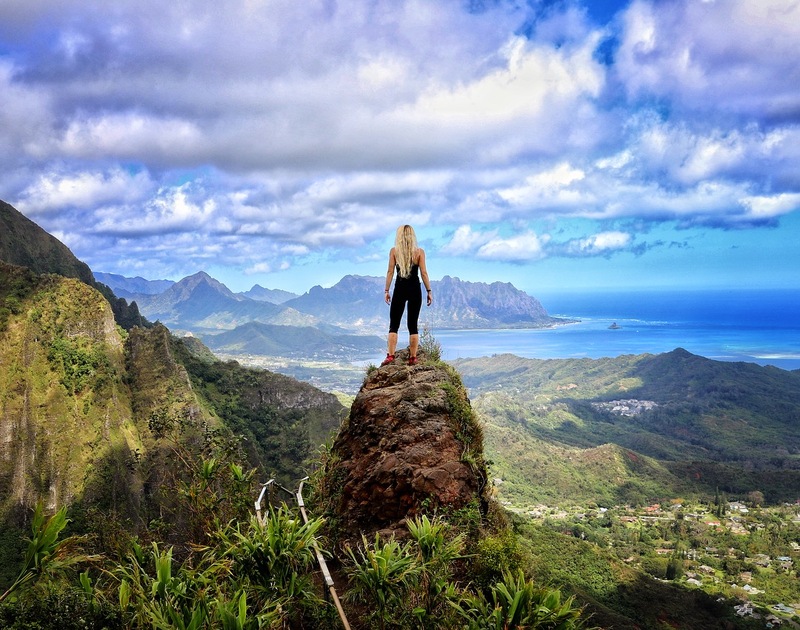 The one story I do like to tell is that my husband and I were hiking on the Napali Coast, called the Kalalau Trail, which involves an 11 mile one way hike to a secluded beach and valley on the north side of Kaua’i. It is a very special place and the beauty you see is like no other anywhere on the islands. At mile 10.5, before we descended into Kalalau Valley, my husband set up the drone to take our picture and suddenly, he got down on one knee and proposed! He caught the whole thing on video! 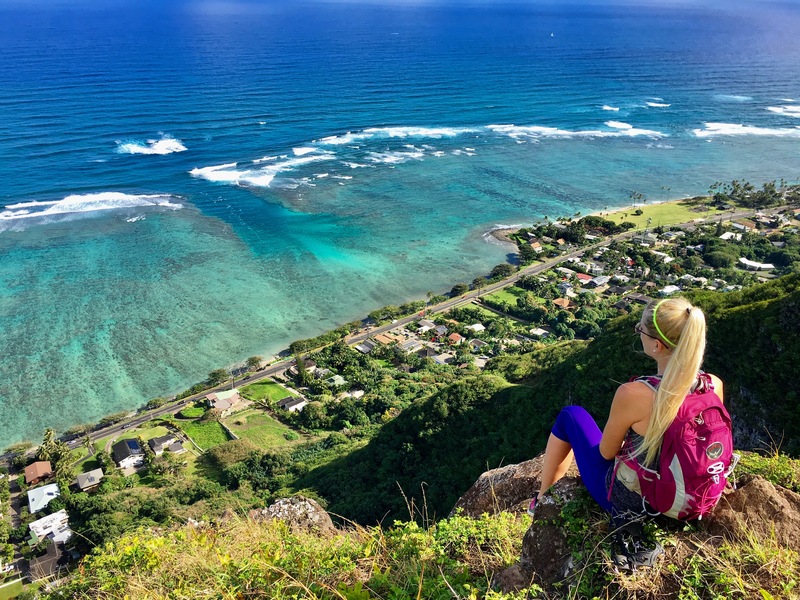 Hawaii is known by many for their idyllic beaches, and not many tourists know about the hiking culture there. 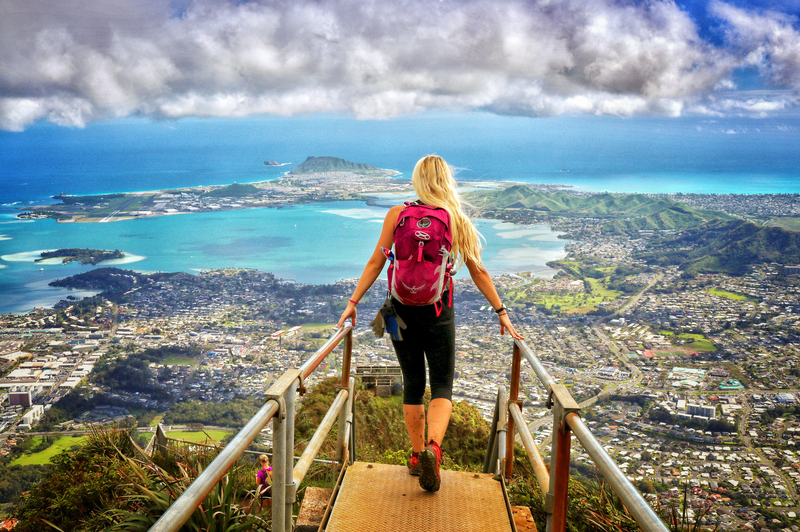 How would you describe the Hawaiian hiking culture? 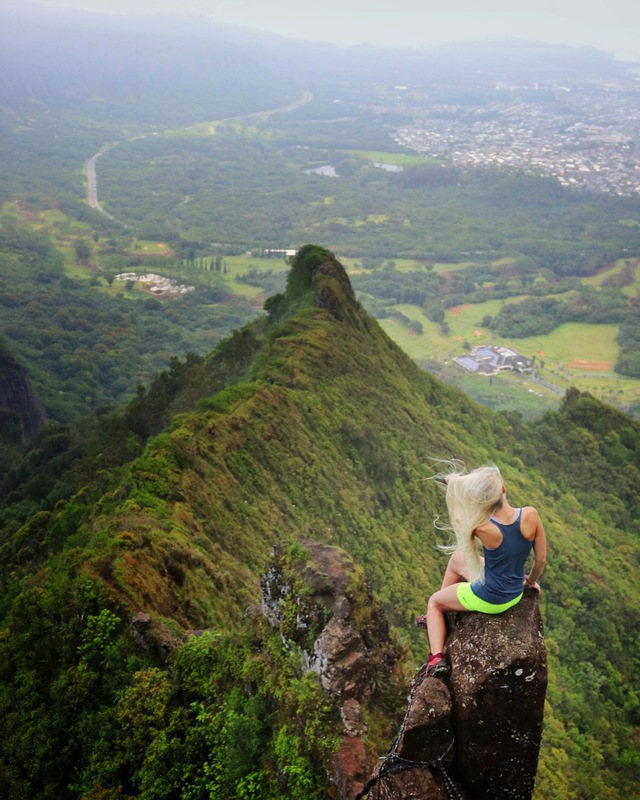 Hiking in Hawaii is amazing. There are so many trails that are available to hike. I could hike every weekend and never run out of new places to explore! One special thing about Hawaii is that you have different islands to visit. Each has their own personality and I am lucky to have been to all 6 of the major islands! 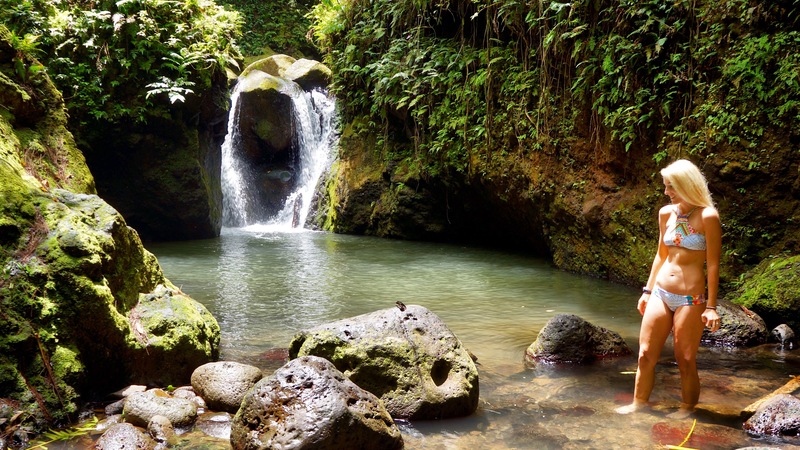 You can hike waterfalls, in the jungle, desert, on a volcano, in the forrest, gulches, ridges, and more! The land is very special to us living in Hawaii. We respect it as if it were a family member. Everyone is encouraged to be active and there are state maintained trails available to hike. Hikers are encouraged to stay on trails to reduce erosion and pack out their trash. The community is very protective of trails and non-state sanctioned trails are not specifically recommended because the terrain can be extremely dangerous and change quickly with a shift in the weather. What was a relatively safe and easy trail can transform into a life or death situation in a matter of minutes. With the cliffs and drop offs, inexperienced hikers (and social media has created many of these) can find themselves injured seriously which requires our search and rescue teams to put their lives in danger to save or recover them. There are many strong communities and clubs open to include any one looking to begin hiking and they all encourage safety first. 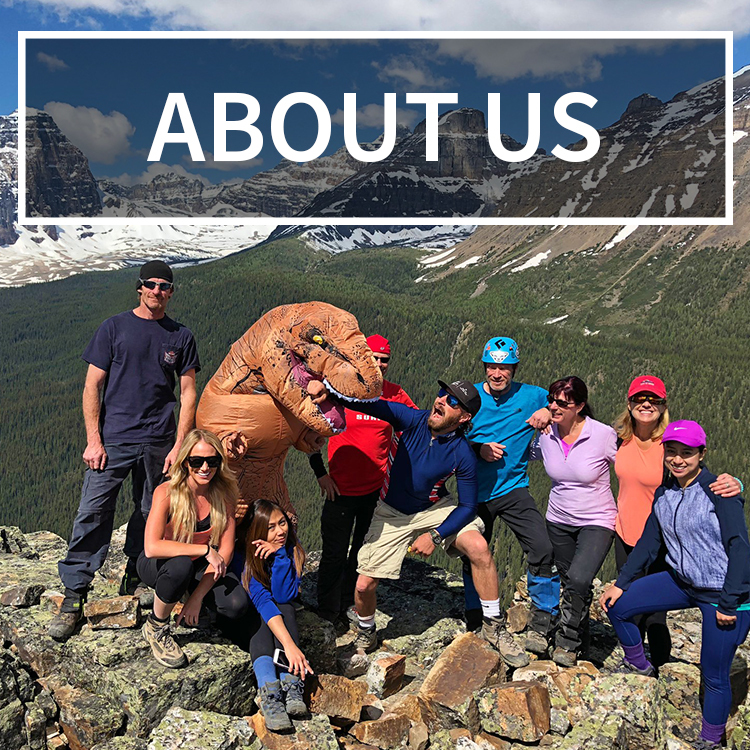 As an orthopedic physician assistant, you get to see lots of adventure and hiking related injuries. What are some tips you can give to stay safe on the trails? No one can escape an accident, however you can certainly prepare yourself to hike smart and safe. Always know your terrain. Never start hiking a trail unprepared or without a map. It is easy to get lost, especially since there are many areas on the islands which do not have cell phone or GPS reception. Always dress appropriately for the weather. Bring a waterproof jacket or a packable blanket in case it starts to rain. Wear the proper shoes and don’t forget an extra pair of socks! Sunblock and a hat can keep the suns rays off you. Packing enough water and food is critical. Dehydration and heat exhaustion can quickly overcome hikers and being prepared with enough sustenance and fluids can save your life. Bring a flash light in case daylight runs out on you! A first aid kit is always a smart idea! Cuts, scratches and punctures happen and being able to clean and dress them in the field is a good practice. Bug spray may or may not be necessary, however you never want to find yourself as the buffet for a swarm of mosquitos. Trekking poles and microspikes are an incredible resource for slick and steep terrain. They can help you get an advantage on inclines or declines that might be too slippery for boots or sneakers. Gloves can help you hold onto ropes or tree branches without injuring your skin. Know your limits and watch where you put your feet! Many injuries happen because hikers are unprepared or hike trails that require skills past their capabilities and they end up getting hurt. I see lots of hand, wrist, and ankle fractures and even more ankle and wrist sprains due to trips and falls. Be prepared for flash flooding. Do not hike waterfall trails if there is heavy rains in the forecast or flash flood warnings in effect. Remember to hike with a partner or group and always let someone else know where you’re hiking and when you’re expected to return! How has hiking made an impact on your life? 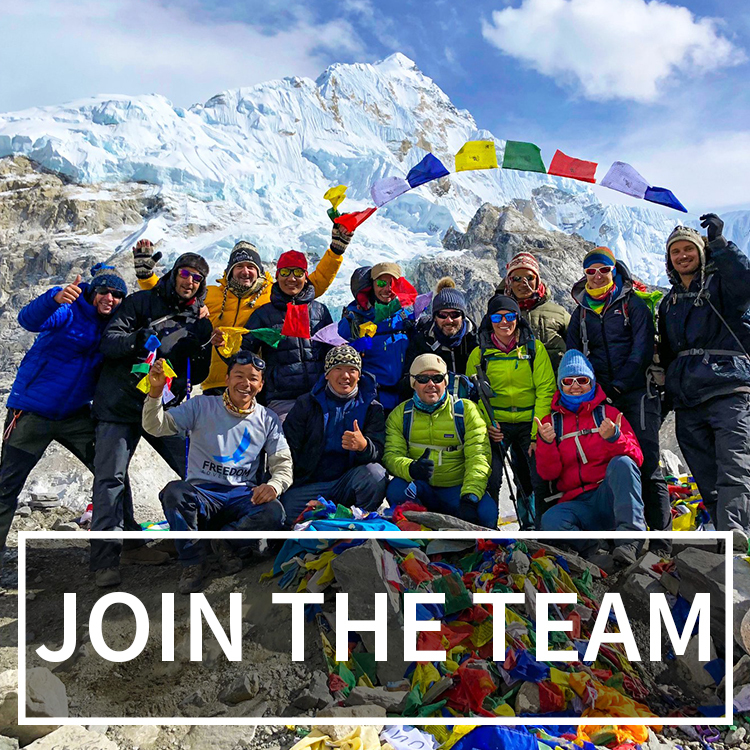 Do you have any advice for people looking to get into hiking? Through hiking, I have gained physical strength, endurance, and technical skills that I never believed I could achieve. My mind is now calm even with the stress and responsibility laid on me from my work and despite the difficulty of the hike, I have learned to savor the accomplishment of completion, even if there’s no view or the weather is uncooperative. I, also, have a new respect for the force of will it takes to complete a physical task. I used to think a two mile hike was long and exhausting; now, I focus less on the distance and more on the difficulty/technicality and time it will take to complete. I never used to crave any one non-food thing, but Hawaii has gotten me addicted to hiking. 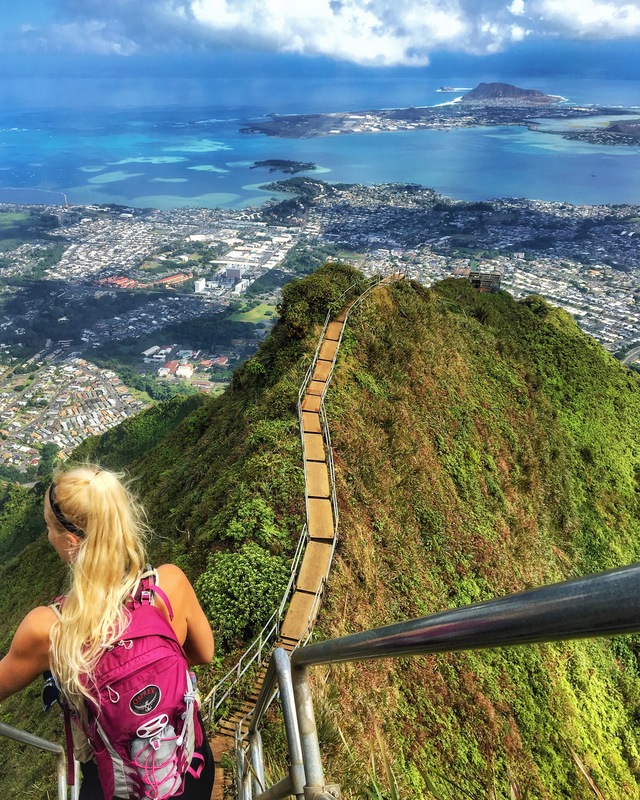 Anyone interested in hiking Hawaii has only to get involved in the many groups that are available and soon enough, you’ll have plenty of new friends with which to explore these glorious islands. Don’t be afraid, strive for the summit! Our next adventure this summer takes us to the Philippines for a short vacation to Palawan and Coron. In the fall, we are moving to North Carolina where my husband will start a new position. 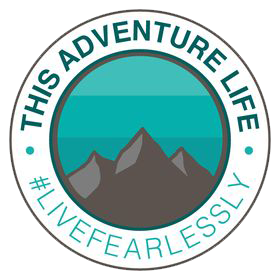 I’m excited to hike in the Appalachian mountains and perhaps even in Europe and Africa!